Our services are not inexpensive because after all, we take pride in what we do, we do it well, and it is our profession. However, at the firm we also firmly believe that sharing knowledge, experience and ideas is vital for making a progress in life and we are prepared to share with you some of the tips that might help you get a better idea of what you can expect when moving and how you can make it easier on you. Our tips are for free, while our services are not. So, if you do not have enough time to hire us at the moment, these tips might come in more than handy and no need to welcome us! We have a team of workers that help us make all the arrangements and move you like the pros we are. 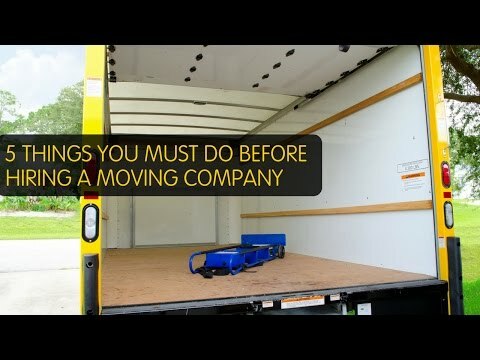 If you want to move like a pro as well, but lack the funds to hire us, make sure you use at least this tip. You will need a lot of people to help you out with the move. Depending on the type of your household, whether you are a single person, a student moving to a different city, or a family of four moving to a different part of the country your needs will be different. However, engaging your friends and family can be more than beneficial and will help you a great deal. Make sure you spread the word that you are moving and ask people for help. Also, the next time some of your friends are moving make sure you return the favor. Are you not particularly organized? No problem, lots of people are! What’s more, we bet that you know someone who is! It is the time to use their skills and pick their brains about your move. If you are an organized type of person, you can do it yourself. Put everything on paper and make sure you do not skip any details. Envisioning your move in your mind will give you a good idea of what you can expect of your move. How Can I Find A Reliable Moving Company?